In the strive for perfection, there’s always room for improvement. We think our machines are pretty perfect but add in some carefully selected accessories and you can make them even greater. To keep the machine working at its optimum, it should be kept it in peak condition. The cast iron tables need to remain smooth and rust free by using maintenance products such as the Axminster Machinery Maintenance Kit (1). Finish on the wood slightly diminishing? Get your blades back to their former glory by using a diamond hone (2). If the blades are past the point of no return and you need to replace them, be sure to set them at the right height with a planer blade setting jig (3). 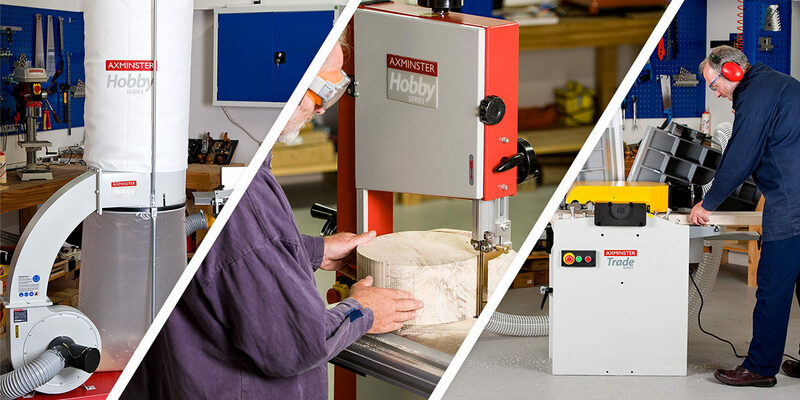 A planer thicknesser will often have to moved around depending on the required functionality, the size of the timber and for ease of storage in the workshop. To enable this to be done quickly and without fuss, a mobile base (4 & 5) is an essential piece of kit. To enable further ease of use, a roller stand (6) is a great asset when using long pieces of material, especially when working alone. PPE is not only a must in order to work safely when using a planer thicknesser but also helps you perform to your very best. 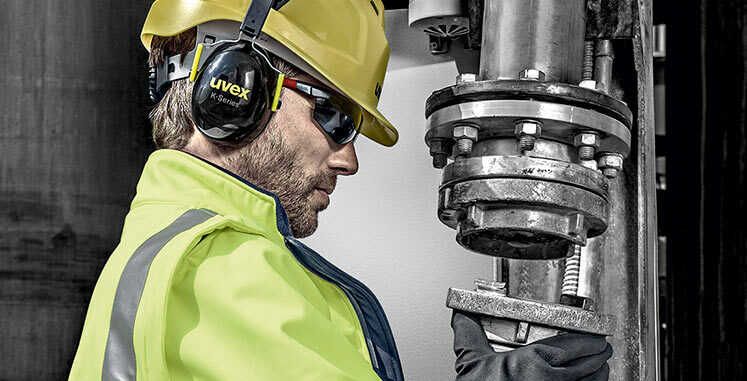 When in use, these machines produce a high decibel level and can send chips flying in all directions so ear defenders (7) and eye protection (8) are imperative. Guide blocks (9) will also keep your hands away from the cutter block and apply an even pressure on the boards when planing. Suitable extraction is paramount when using a planer thicknesser as they produce a vast amount of chippings. 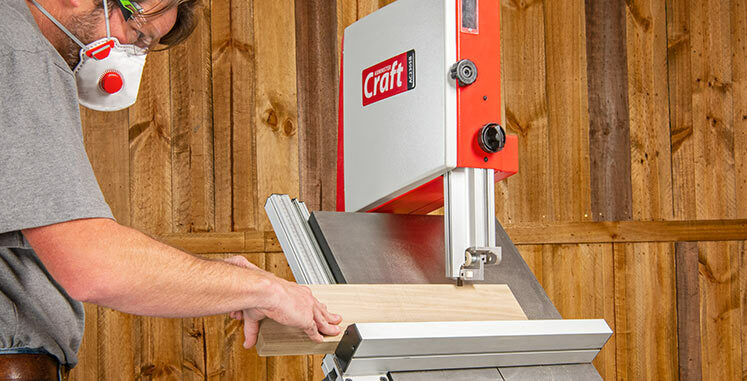 Although not considered to necessarily improve the functionality of a planer, this will undoubtedly improve your working conditions. Make sure you get a chip extractor with a large collection bag and the airflow to match the machines needs. For more information on choosing the right extractor, read our guide. The old adage that your saw is only as good as your blade applies to almost all bandsaws. To make sure that you get the right blade for your saw, we have a fantastic range of blades from high carbon (1) to premium (3), with our unique, long lasting GT blades (2) sure to catch your eye! If you’re not sure which blade is for you, view our guide here. 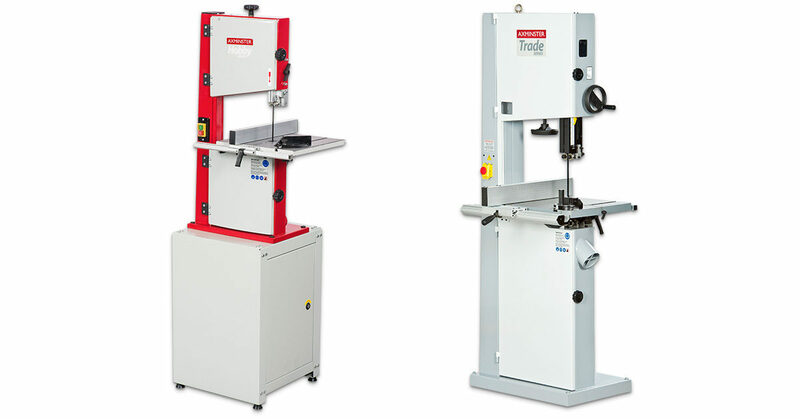 You won’t find a handier accessory for a bandsaw than our Bandsaw Buddy! 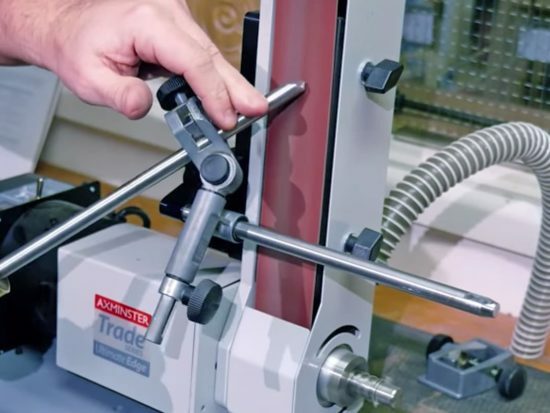 (4) With four great uses including blade setting and improved vernier cutting, it’s quickly become a must-have in any workshop. If you’re looking to cut mitres, only the best mitre fence will do. Try the UJK Technology Compact Mitre Gauge and Fence (5) to improve the accuracy of your mitres. Worklights (6) are handy anywhere but get one with a magnetic base to fit onto your bandsaw and allow you maximum visibility for precision work. Bandsaws, although not always heavy, can be awkward to move so when cutting large pieces of timber where a lot of space is required, a mobile base (7) will get your saw in place with minimal effort. 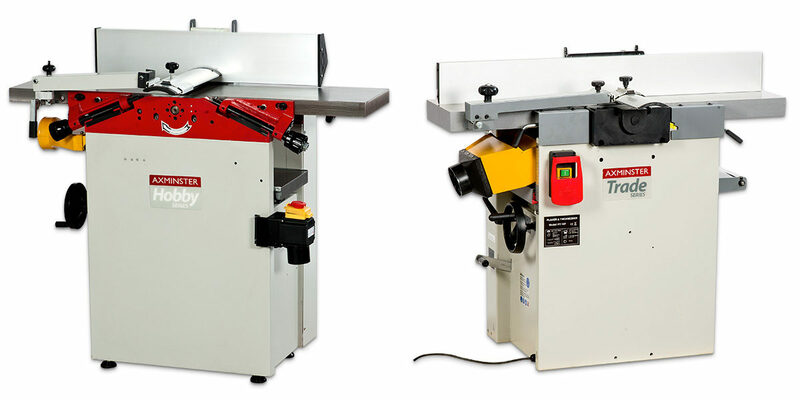 A featherboard (8) will not only improve accuracy on the bandsaw but even more importantly, provides improved safety,; keeping fingers away from the blade and preventing the risk of kickback. 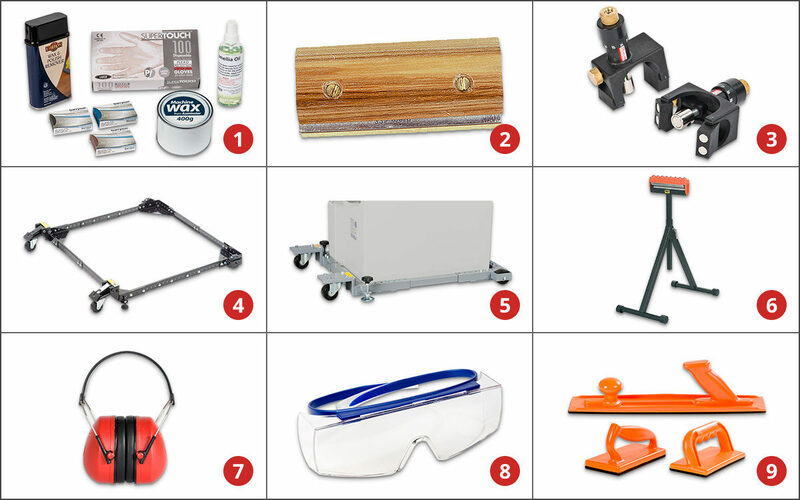 Woodworking always poses a threat to your eyes, so make sure you take precautions with safety specs (9). Although extraction isn’t perfect on a bandsaw, it is still absolutely necessary. 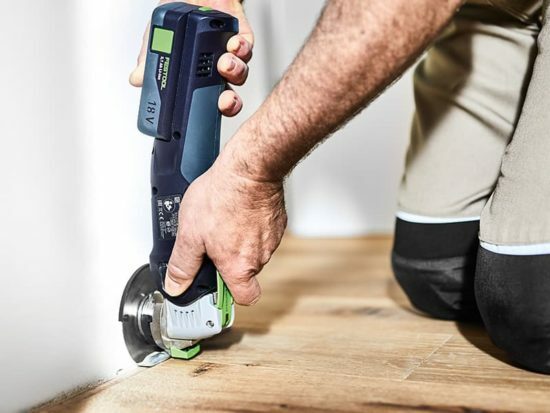 Not only does it increase safety and keep your workshop clean, it also means the machine can work to its optimum without a buildup of dust on the table or band wheels. One sure fire way of improving an extractors performance is to upgrade the filter cartridge. Doing this for the AWEDE2 (1) will get the filtration of this machine down to 1 micron; ideal for handling dusts produced by bandsaws and tablesaws. A plastic waste bag (2) will also be required to collect the larger particles. If your extractor already has 1 micron filtration, fit a HEPA module (5) to improve this further to 0.3 microns; enabling you to handle even the finest of dusts as produced by sanders. Some extractors come with hoses as standard, but for those that don’t it’s important to fit a high quality hose, as cheaper ones can tear under duress. Getting one with rubber end cuffs (3) is always a big help to ensure a simple, close fit. If you have a static extractor but need it to work with a couple machines in your workshop, why not try a retractable hose (4)? Only 1m in length when retracted, this can stretch out to 6m, large enough for almost any workshop. 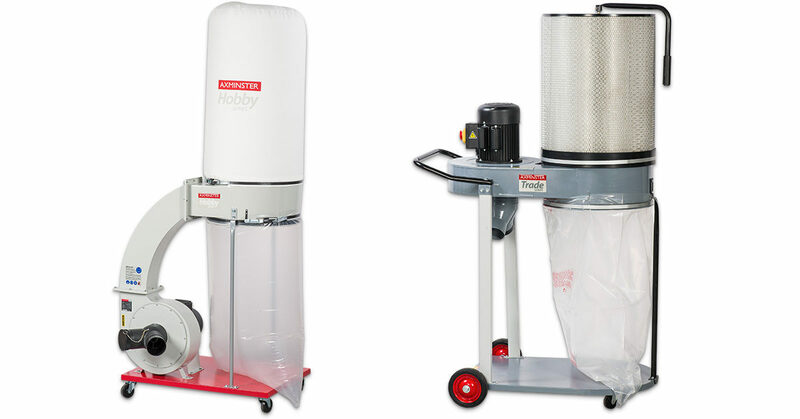 If, however, you plan to have many machines in the workshop, it may be time to start thinking about a dust extraction kit. 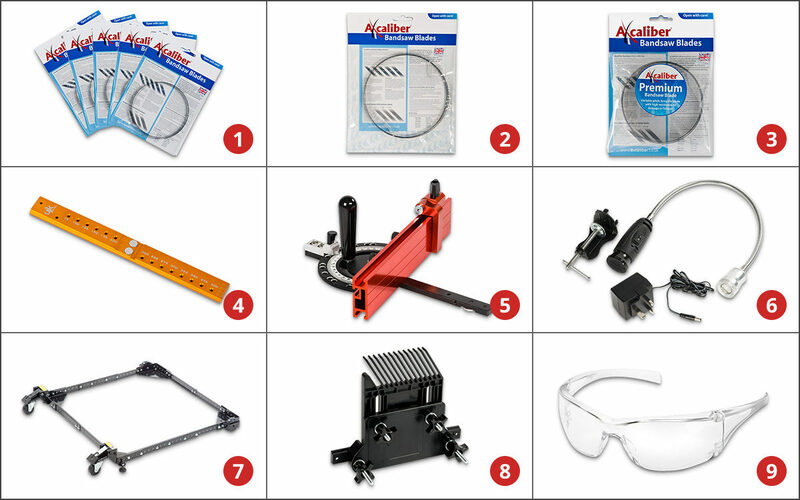 For the home workshop user, the 100mm dust extraction kit (6) will provide you with everything you need to get started. For the trade user looking for something a bit more permanent and heavy duty, this metal ducting kit (7) is a fantastic way to get your workshop extraction to its pinnacle performance. Just looking at your Planer / Thicknesser item and was wondering if item’s 2 & 3 are the wrong way around ? . Your right Kevin, they are miss-labelled/wrong way round. I wonder if Axminster will correct their entry and how long it will take? Do they listen to their customers? Watch this space…! Doc, thanks for your reply and just to confirm that Axminster will always listen to their customers! does Axminster have any plans to support their hobby series saws I lookj through Axminsters website see a precision fence or depth gauge and they don’t fit my ts250 why sell a saw that is incompatible with every saw accsesorie they sell or any one else . I feel very let down by this also by the quality of the saw. nearly every nob on the thing has been replaced the dust is a disaster I have a dust extract fitted to the rear a shop vac on the top and still sawdust is thrown up in the face. I have shopped with axminster for decades but I’m rethinking that. I have the ts200 and also found the dust extraction to be awful. I have however pretty much eliminated the issue by fitting a Y junction to the rear extractor, some flexible pipe and the Big Mouth Dust Hood underneath the table saw. I also fitted some foam padding into all the gaps between the table top and frame as well as the gaps for the table height adjustment (front and back). I considered using a shop vac for the blade guard dust extraction but my small AWEDE2 extractor seems to cope fine on it’s own now. 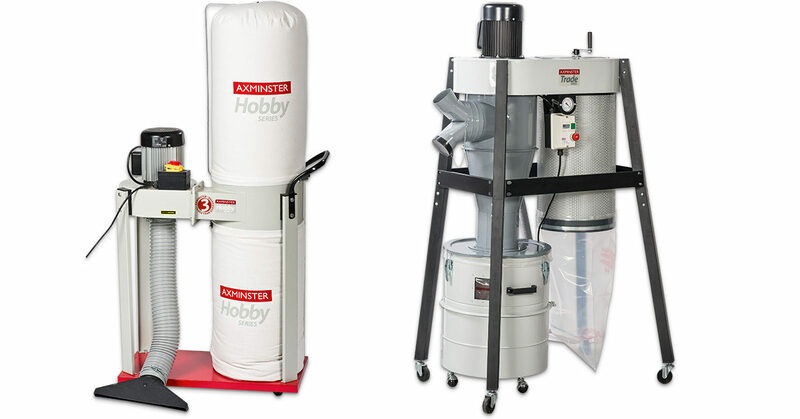 I have been reasonably pleased with all my Axminster purchases, except one – my dust extractor. I have the PT106 planer thicknesser which is underpowered but still works within it’s 2 HP capacity. I have a scroll saw which was about £70 and for the money is again reasonable. At that price I was not expecting great stuff, so again reasonably satisfied. I have a floor mounted drill press, again some run out but quite suitable as a hobby machine. BUT, I am not at all satisfied with my dust extractor. It was bought a few years ago as ‘ the basis of a complete small workshop system’, being sold with 63mm pipework and blast gates, connectors etc. I feel it was poorly described. It doesn’t have the guts to work effectively on just one machine, let alone several machines via leaky blast gates and longer sections of tubing, angles etc. This seems to be one area where Axminster used to be weak – the accurate description of it’s products in the old catalogues. A bit like estate agents were in the 60’s, fantastic sounding but disappointing when you get to see / use them. I don’t expect industrial quality at hobby prices, but I do expect products to work as described. Perhaps they will be more realistic in their emails. Overall this was a poor product, poorly described and I have often regretted buying it. I use it now connected directly to a small belt / disc sander and it does a fairly inefficient job of that. We can only apologise that this extractor has not lived up to your expectations. We always aim to sell machinery that is the very best in it’s specific product range and don’t in any way want to mislead our customers. We would recommend that you contact our Customer Services Team on 0800 371822, to discuss the issues that you have had with your extractor and find out whether we can help you in any way. Once again we are sorry for the underperformance of the extractor. Hi Mark, and thanks for taking the time to reply.The thing is I have had the extractor for a few years now. I had it for a while before setting it up so I assumed it would have been too late to return it as unsuitable. Also it was working, so I assumed I could not return under guarantee either since it wasn’t actually faulty. So I just kept it and basically put up with the unsatisfactory performance – I say unsatisfactory because, as I said in my original post, I don’t think it in any way performs as described although it does extract dust to some extent. Do you think customer service would be able to do anything about it at this late stage? It hasn’t been advertised in your catalogues for several issues now. To be fair I have not been disappointed with my other Axminster kit. I have bought both hobby rated and trade rated kit and I feel the equipment was fairly described in the catalogue – it’s just this one machine that is the issue. Morning Keith, that’s ok, we always try to respond to as many queries as possible. As i’m not in customer services myself I wouldn’t be able to tell you if we could do anything at this stage with absolute certainty. There are procedures in place where we would allow machines to come back to us for possible refund but this depends on a number of things; the date of purchase, the length of gurantee and also how much it has been used, to name a few. If in the future you are unhappy upon receiving a product from us, I would recommend contacting us immediately to see if you are eligible for a refund. 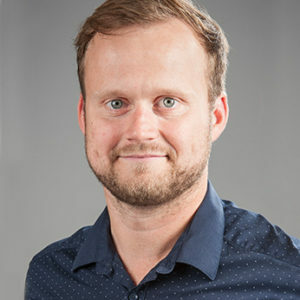 With regards to this particular problem, all I can do is to point you in the direction of our Customer Services Team to see if they can help. I’m glad that you have been satisfied with all of your other purchases and hope that this particular problem hasn’t put you off shopping with us in the future. I am considering the purchase of an Axminster AP107PT with Spiral Blade Assy. Can you please advise me which extractor would be most suitable for use with this machine. I will only have the PT attached to the extractor as I already have a Festool extractor for my hand tools. I am on a tight budget and so would like to have a choice of recommendations if possible, Minimum, Better, Best choice extractor. Also is it possible to arrange to meet someone at the store that Knows what they talking about. It is great that Axminster is growing so fast, but I have to say, It is getting hard to find a member of staff these days that knows what they are talking about. I have visited both Axminster and Nuneaton and some of the staff don’t know the difference between a hammer and a nail. We are happy to hear that you are looking to purchase the AT107PT with spiral cutter block, it’s a fantastic machine and the spiral cutter makes a real difference. There are several extractors that we could recommend to buy specifically for this machine, here they are in a minimum, better and best category. Minimum – The CT90H 1hp Extractor (508334), would cope just about with the AT107PT, but would be working at maximum capacity which we wouldn’t recommend for sustained use. This extractor also only has a 60L collection bag, which would fill up fairly quickly (even with the smaller chippings produced by a spiral cutter over conventional blades). The main benefits of this extractor over similar alternatives is the cartridge filter as standard, which captures 1 micron particles at a 100% capture rate. This extractor is priced at £405.96. 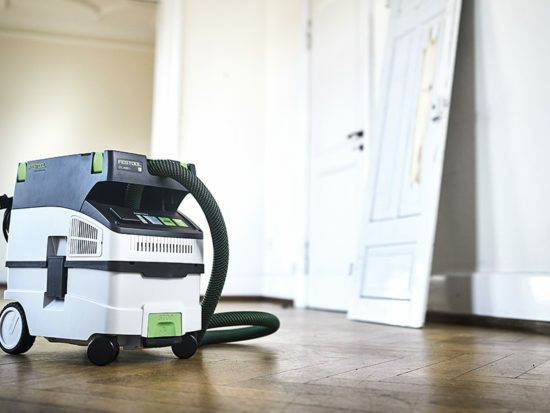 Better – The CT90HB 2hp Extractor (508336) is the big brother of the CT90H. 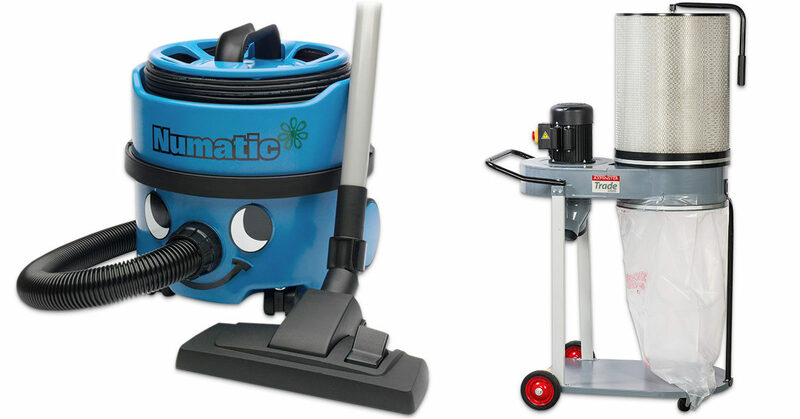 It is bigger (170L bag capacity) and more powerful (2hp over 1hp) machine. It also has twin 100mm outlets and one larger 170mm outlet, if you ever did need to connect it to other machines. This extractor is priced at £620.96. Best – The T-2000CK 1hp Cyclone Extractor (505087), although less powerful than the CT-90HB, this machine has the high efficiency separation (cyclone) system, which maintains very high airflow and ensures that the air passing through is 99% clear of waste. This extractor would also lend itself very well if you were looking at connecting it up to more machines in the future, as the cyclone system means it works very well on a variety of machinery. The T-2000CK also has twin 100mm dust ports or one large 150mm dust port. It is priced at £860.96. I hope this helps with your question. With regards to the store staff, we are confident that all of our staff are trained to the very best of our abilities and we undertake regular training courses to enable the staffs product knowledge to grow. If you’re unhappy with a member of staff’s knowledge, please speak to a store manager who would be able to assist you further. If you have any further technical questions please feel free to contact our Business Services Team on 0800 371822.